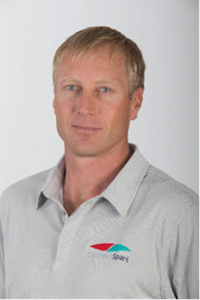 Southern Spars has announced their new Rig Pro International management team, led by Des Davis and supported by Gavin McPherson. Both men are passionate sailors with a wealth of experience in the yachting industry that promises to see them take Rig Pro from strength to strength. The duo is committed to continuing to grow the existing market share and reputation of the global Rig Pro network. Having worked for Rig Pro International for over a year, Davis will now oversee every aspect of the Rig Pro International operation, managing the team with the goal of ensuring a smooth experience for customers. Hailing from the South Island of New Zealand Davis cites sailing as his true passion, and also rebuilds classic yachts in his spare time. “I am looking forward to leading Rig Pro International to being the ultimate solution to all things above the deck,” he says. 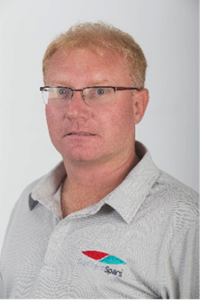 Davis enjoys customer service and in his time at Rig Pro to date, Davis has focused on growing the business into a more customer oriented service network with the introduction of the Infusion management system. “The Infusion system has increased the customer service through better database management, financial tracking and pricing, which in turn has allowed for better planned lead times and customer management”, he says. “I am confident with the support of Gavin and Southern Spars that we can manage emergency work, planned warranty work, rebuilds, change outs, design and manufacture far more efficiently than we have done so in the past”. McPherson’s main remit will be to manage the planned and emergency work for Rig Pro International customers, facilitating co-ordination between the customer, Southern Spars and Rig Pro International teams. With a background in engineering and sailing, together with extensive knowledge of the products and what’s required of them places him in good stead for this role. Having learnt to sail in Tauranga, McPherson began his sailing career racing One Design models, before progressing to working with some of the world’s most prestigious yachts and marine companies, including a stint as boat captain on Alpha Romeo II. McPherson says his long-term focus is to continually increase the high efficiency and effectiveness of the company to make it easier for staff and customers to achieve the best solutions. A division of Southern Spars, Rig Pro International provides a comprehensive mobile refit and repair service for all yachts and rigs with service points in New Zealand, South Africa, the USA and Spain. The team regularly work with some of the world’s most spectacular yachts. An impressive new base in the heart of Auckland’s marine district has meant invaluable increased capacity and waterfront access for the Rig Pro NZ team.